Friday, 20th November ended with another German winning the poker competition that took place in Rozvadov in the Czech Republic. Jens Dengler led the pack of over 200 poker players who participated in the ongoing PokerNews Cup being held at the King’s Casino. The opening game on Day One was won by another German, Timothy Weltner, who led a group of 163 participants. Friday’s highly competitive poker game saw many determined players fall on the wayside, leaving only a small fraction of entrants to proceed to the next day. Only 36 players secured positions of play in the Sunday event. Earlier in the day, Lithuanias’ Rytas Staniukynas had left the poker tables as the winner, managing to pile chips to the tune of 446,000. It, therefore, means that Jens Dengler is hot on his heels with a chips count of 412,000. Those who followed Dengler in chips count included Marek Bartoszewicz with 305,000 chips; Robert Obrtlik with 259,500 chips; Michael Waldmann with 247,500 chips; and Lucian Ene with 224,500. These great poker players hail from Poland, Slovakia, Germany and Romania respectively. This diversity of participants must be one reason the PokerNews Cup draws great attention from poker fans beyond the host country. It is easy to develop a wrong presumption about the legality of poker in Germany, especially looking at the number of German poker players doing well in the game on the international scene. The country has players who rank highly according to the Global Poker Index (GPI). Ole Schemion, for example, topped the list in 2013 and his cash winnings total over $5 million. Marvin Rettenmaier is another poker giant who draws the poker limelight to Germany. Rettenmaier’s cash winnings are well over $3 million. Surprisingly, the only places where state laws allow poker to be played at a serious level are state owned casinos. Independent business people may be running those casinos that offer poker tables and other gaming facilities, but they do that on behalf of the various states that have legalized them. When it comes to online poker, everyone understands its restrictions. In fact, only one of Germany’s sixteen states, Schleswig-Holstein, has legalized online poker. And it did it in 2011, the same time it legalized sports betting. However, poker enthusiasts in Germany still get to play online poker liberally as they have access to foreign based sites that host the game. It is, therefore, possible that many Germans hone their poker skills better online than in brick in mortar casinos. In any case, the whole of Germany has around 50 or so casinos that provide around 17 poker rooms. It may look a bit odd when people realize how conservative Germany is on the gambling front, especially considering that there was a casino established in the country, specifically in Baden, back in 1765. 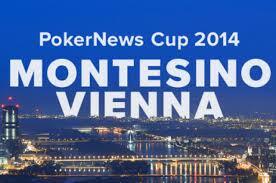 Anticipation is still rife in Rozvadov where the PokerNews Cup is set to resume on 21st November. The tournament, which has attracted poker players who practice in conventional casinos as well as those glued on the web playing online poker, is set to continue until Monday, 23rd November. And the activities will have covered eleven tournaments by then. Until this year’s Cup champion emerges on that day, PokerNews Cup champion remains German poker player, Kristian Krupp who won the 8th edition of the PokerNews Cup and took away prize money totaling €57,473. Poker fans are, obviously, eager to see if it will be another German win in this 9th edition of the PokerNews Cup championship. 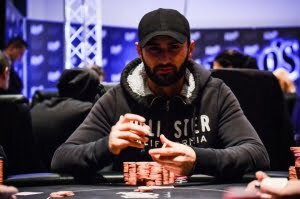 The PokerNews Cup that began with Lithuanian Rytas Staniukynas taking the lead in Day One’s main event is nearing the end, where the champion of this ninth edition of the tournament will take home a decent €37,229. Staniukynas came on top in a list of nineteen survivors. Day Two’s Main event has seen Daniel Can top the list of poker players competing. During this event, 60 competitors fell on the wayside even before the poker competition could get to level 2. This was a competitive event where some formidable poker players from earlier competitions joined the pack and made the competition at King’s Casino all the more stiff. Not surprisingly, many of those who were eliminated early had begun with short stacks. The Czech Republic is liberal when it comes to the state poker law, and so the PokerNews tournament has entries from all across Europe and beyond. Surprisingly, some poker giants who had come into the day’s main event with enviable stacks of chips did not qualify to play on Day Three. Sixteen of the 190 poker competitors of the day qualified to play in the PokerNews Cup finals. What must have surprised many poker fans is the fact that players like Rytas Staniukynas, Jens Dengler and even Tomas Steponkus did not make into the list of finalists. Staniukynas had come into the event with 446,000 chips; Dengler with 412,000; and Steponkus with 339,500 chips. In fact, apart from Rytas Staniukynas who won some prize money – €1,183 – for securing himself Position 24 in the tournament, the other two left empty handed. Dengler is German and Steponkus is Lithuanian. By the end of the day’s main event, the leader Daniel Can, who is German and a professional poker player, had accumulated 3,445,000 chips, followed at a distance by Hermanus van Beek from the Netherlands. Third place in chips count was Marian Uharcek from Slovakia with 2,610,000 chips. It’s a relief for the remaining PokerNews Cup competitors to know that each is guaranteed some amount of money at the end of Day Three’s poker game. The first player to be eliminated will actually take away €1,765 as cash prize, and of course, the other cash prizes will be higher. The players going into Day Three with a high stack of chips compared to the rest have a relative advantage in that they can afford to make a number of losses and still survive and play with better luck. Those coming close to Daniel Can, Hermannus Beek and Marian Uharcek in chips count include German player Philipp Kaempf with 2,325,000 and Claudius Istrate, also German, with 2,090,000 chips. The other poker players who made it to Day 3’s finals included Gerald Hiebler with 1,770,000 chips; Thomas Pedersen with a count of 1,640,000; Benoit Kuhn with 1,510,000; Christian Voss with 1,335,000; Gjergji Lazer with 1,105,000 chips; Brian Joseph Lim with a count of 1,020,000; Christian Waldemar Dieter with 960,000; Jurgen Melan with 940,000 chips; Robert Markus Manner with a count of 695,000; Jakub Kramer with 685,000 chips; and Sasa Klein whose stack totaled 180,000 chips. Clearly, Germans have dominated the poker Cup taking most of the top slots so far. Poker fans both in the Czech Republic and Germany, including those who have halted their online poker games to follow the PokerNews Cup in Rozvadov, must be wondering whether a German will take the championship or if a player from the host country or neighboring Slovakia will take the lead. However, like other gambling games, it is very difficult to predict the outcome of a poker competition with certainty. It is a wait-and-see situation for the live fans at King’s Casino and those following from afar. Rytas Staniukynas, who hails from Lithuania, led the day’s poker competition on the second day of the PokerNews Cup. The opening day’s main event was won by Timothy Claude Weltner who is German on 19th November. The love for poker knows no bad weather as witnessed during this event that is being monitored by poker enthusiasts in many countries. The second day of this year’s PokerNews Cup tournament saw heavy rain pound the streets of Rozvadov nearly without a break. Yet King’s Casino had its share of enthusiastic poker fans as well as a group of eager competitors. As they enter the competition, each of the poker players hopes to be in the list that gets to share the prize money totalling €200,000. Poker players everywhere respect each other as they are aware how easily tables can turn even for the most experienced of all. Still, skill and experience play a big role in a poker player’s performance. That notwithstanding, there is the environment to get used to. Those players who are used to playing in brick and mortar casinos may feel a little disoriented when playing online. Conversely, poker players who are used to playing online poker also get a little disoriented when playing within brick and mortar casinos with the event being watched by a live audience. The latter was the experience the star of Day One, Timothy Weltner, had as he sat at King’s Casino playing. Weltner is used to playing online poker and can often be found playing at the PokerStars as well as Full Tilt poker hosting sites. At the table at King’s Casino, Weltner was unable to play many hands the way he ordinarily would. Luckily, he is still in the tournament and hoping to have a share of the ultimate prize money. It is not surprising that Lithuanian Rytas Staniukynas should do so well at the PokerNews Cup competition. There are great chances for people in Lithuania to practice poker. Whereas poker in conventional casinos in Lithuania is legalized and income generated from it taxed, the state laws are silent in regard to online poker. Hence, Lithuanians continue to practice the game online without any worries of being nabbed because there is no law any officer can quote as being broken although online poker is not explicitly legalized. Lithuania legalized conventional gambling in 2001 although people in Lithuania had begun playing it since 1990 after the fall of the Soviet Union. Before then and for all the years that Lithuania had been occupied by the Soviets – 1940 to 1990 – gambling remained illegal. The only thing close to gambling that the Soviets permitted was not poker but lotteries. These were run by the state and the government took all the proceeds. The poker tournament at King’s Casino attracted famous movie personalities as well. There was Anna Yamshchikova and her counterpart, Nikolay Karman who played very competitively at the end of Day 1 of the PokerNews Cup tournament. They qualified to participate in the poker competition when it resumes on Day 2. Although their stack of chips is not as high as that of the leading player of the day, Rytas Staniukynas, they are likely to make a good show when next they sit at the poker tables. Anna Yamshchikova ended with a stack of 90,000 chips while Nikolay Karman ended with a stack of 70,000. This was against Staniukynas’ 446,000 chips. All eyes are now directed at the Czech Republic, the host country for this year’s PokerNews Cup.